Windows 7 (formerly codenamed Blackcomb, then Vienna) is a future version of Microsoft Windows. 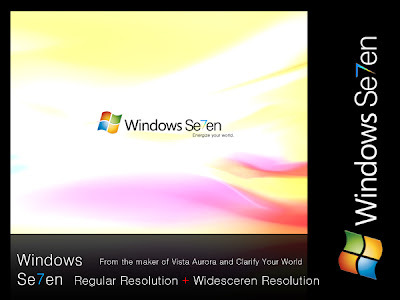 It is expected to be the successor to Windows Vista. Microsoft has confirmed that the planned development time frame is at least three years, meaning it will be released in 2010 or later. According to technology magazine "Smart Computing In Plain English", work on it began immediately following the release of Windows Vista. On July 20, 2007, it was revealed that the operating system is known internally at Microsoft as version "7".